We specialise in flavours that never get old; the classics! Pink Lemonade is tangy, tart and perfectly sweet. On inhale you’re met with a delightful sweetness that foreshadows the invigorating exhale of a juicy lemon! So reach for Pink Lemonade after those long days, because your taste buds deserve it! You will instantly love Pink Lemonade’s smooth inhale, and the robust citrus exhale. 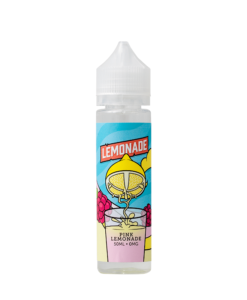 Wow, lemonade line is amazing there all great tasting and smooth hard to put down! This peach lemonade is my all day vape at the mo I just can't put it down!! Highly recommend them all! ? ?